Join TAM of Nevada in Helping the Local Community with our Annual Holiday Food Drive – TAM Card® Nation in Vegas! TAM® of Nevada has been a trusted service provider for alcohol education in the greater Vegas community for over 25 years. We’re happy to continue to provide training to our Las Vegas Locals, and at this time of year we are giving back to the community by partnering up with Three Square to help make the holidays a little brighter for local families with our Annual Food Drive. According to Three Square, one in six households in Nevada struggles with hunger, so every little bit does help. If you’re coming to our Training Center to complete your TAM® Training in the month of December, please consider bringing along a donation of non-perishables or canned goods to donate to our Three Square drop-box. Students and anyone else who wishes to donate can stop in at our training center at 3900 Paradise, Ste G, in Las Vegas and drop off non-perishables and canned goods during business hours up until December 31, 2011. Items that are high in protein, such as canned meats, tuna, and peanut butter are of particular need as well as canned or powdered milk. 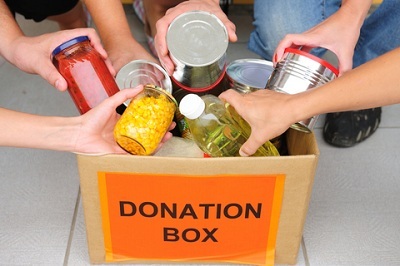 Other items to consider donating include canned vegetables, canned fruits, personal hygiene products (i.e. toothpaste, soap, deodorant, diapers), and paper products (toilet paper, paper towels, etc.). No glass containers, perishable items or home-canned foods please! We look forward to seeing students and community members in the month of December and sincerely wish a Happy Holiday Season to everyone! Next Over Half of Reno Bars Visited in Alcohol Compliance Check Busted for Serving Minors. Are You Checking for I.D. ?